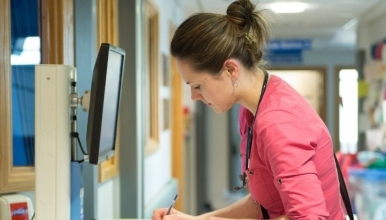 The Trust is seeking to appoint a part-time Consultant Dermatologist on an 8 PA contract. You will join the existing team, which includes the Community based team with whom we have established a valuable intermediate/Community link. Candidates for this role must have Full GMC registration with a licence to practice and recent experience within the NHS. The Shrewsbury and Telford Hospital NHS Trust is investing in the reconfiguration and development of its Acute Dermatology Service. These changes will transform the service offered to patients and deliver a truly integrated cross sector approach for the benefit of its patients – a growing population of 550,000. Dermatology is an established and well respected service at the Shrewsbury and Telford Hospital NHS trust. Having been a single practice Consultant service for some time, SaTH now has a collaborative sub contractual relationship with a Consultant Community Dermatology service based in Shrewsbury. This is therefore an extremely exciting time to join this expanding team and to lead the on-going change process – the Trust invites applications from dedicated, innovative individuals which will in turn provide you with a great opportunity for leadership to shape the service of the future. A sound knowledge of general Dermatology is required; you will have the opportunity and potential to bring your own area of clinical sub specialty interest to add to the established Acute Service portfolio. There is an established skin cancer MDT and you will become a core member of this group. There is dedicated Theatre and Minor Operation capacity. We also have established links with the plastics team and the Head and Neck service. The Trust has teaching Hospital status for Keele University Medical School and you will participate in the teaching programmes for Medical and Nursing Students. We are entering an incredibly exciting period here at The Shrewsbury and Telford Hospital NHS Trust (SaTH). We have been guaranteed more than £300 million pounds to develop our hospitals into two state-of-the-art facilities that will offer greatly improved environments, more sustainable staffing and better facilities. The Princess Royal Hospital (PRH) in Telford will become a dedicated Planned Care site and the Royal Shrewsbury Hospital (RSH) will become a specialist Emergency Care site. We want you to find out more about the department and our Hospitals, and invite you to contact Dr Susan Kelly with any questions you may have on 01743 261107, or even arrange a visit to the Trust and Department.